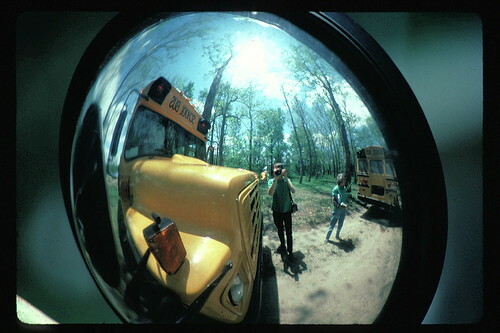 bus mirror, originally uploaded by The Bacher Family. Self-portrait in a bus mirror at Luckey's Landing at Merry Lea in 1991. Convex mirrors are always great for making self-portraits!